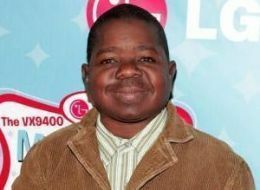 According to the Associated Press, Police have confirmed that “Diff’rent Strokes” actor Gary Coleman’s death has been ruled an accident. Santaquin Police Chief Dennis Howard said an autopsy found Coleman died of natural causes after an accidental fall. The finding matches the evidence police found at Coleman’s Santaquin home on May 26, Howard told The Associated Press. Gary Coleman’s wife is responding to her former husband’s autopsy results that revealed the fall at his home was an accident. Shannon Price, Coleman’s common law wife, Shannon Price says her life was turned upside down after the death of the man she loved and who she considered her husband, even though they were divorced. “I feel there have been people that have just sabotaged me and just given me a bad name and I’ll never see it, but I do believe everyone owes me an apology that has trashed me out there because I’m not a horrible person, I would never want to kill my husband,” Price said. Price says clearing her name is one thing, but what she wants more than anything now is for Coleman’s remains to be released to her. His body was cremated and the court has not decided who will get his ashes. “I have a lot of mixed emotions but I honestly whatever people have said about me I just actually put it behind me because I know I did the right thing for Gary it was the hardest decision I ever had to make in my life but I don’t think I pulled the plug too soon,” Price said. Price is now writing a book about her life with Coleman. The book is to be called “My Life with Gary Coleman” and is expected to be done in a few months. Coleman’s estate is still undecided as to who takes ownership. The home that Price and Coleman shared in Santaquin is still up for sale. What an exciting time! Cable television was brand new to most of us. Not only could you watch movies without using a VCR, or get sports news from somewhere other then the last 3 minutes of the local news, but now we could watch music videos 24/7! On August 1, 1981, at 12:01 a.m., MTV launched with the words “Ladies and gentlemen, rock and roll,” spoken by John Lack. We didn’t get cable in our area until a year or 2 after the launch. So, by the time we got cable, we had already heard all about MTV, and were foaming at the mouth waiting to get it. And it did not disappoint. There were all kinds of fun videos, and we were introduced to new music that we may not have listened to if we only heard it on the radio. And the VJ’s were also really cool. The original 5 were Nina Blackwood, Mark Goodman, Alan Hunter, J.J. Jackson and the iconic Martha Quinn. Unfortunately, J.J. Jackson died on March 17, 2004 at the age of 62 from a heart attack. However, if you have XM or Sirius Radio, you can listen to the rest of the VJ’s on the channel 80’s on 8. They each DJ in about 4 or 5 hour blocks, and they all host the weekly show Big 40 Countdown where they count down the 40 biggest hits of this week during a certain year in the ’80s. Last week’s episode was the biggest hits of the week in 1988. And then The Real World premiered. With all of these various types of shows being added to MTV, music was slowly being phased out. Now, it is kind of a sad joke about how MTV doesn’t show videos anymore. Now it is known more for Jersey Shore and The Hills than it is for being a music pioneer. There used to be Michael Jackson, Madonna, ZZ Top, and Def Leppard on MTV. Now it has been “Speidi”, “Snooki”, and “The Situation”. Time has moved on. But at least we had our MTV for a little while. “Take On Me” was released from Norwegian band a-ha’s first album Hunting High and Low. With the help of this groundbreaking video, the song reached number 1 in the U.S. in October 1985. At the 1986 MTV Video Music Awards, the video for “Take on Me” won six awards—Best New Artist in a Video, Best Concept Video, Most Experimental Video, Best Direction, Best Special Effects, and Viewer’s Choice—and was nominated for two others, Best Group Video and Video of the Year. a-ha did not have any other major hits in the U.S. after “Take On Me”, but they remained very successful internationally. The went on hiatus in 1994, then reunited in 1998. On October 15, 2009, the band announced that they are calling it quits after their 2010 tour. Ben Mondor, owner of the Pawtucket Red Sox, died Sunday night after a battle with cancer. I’m not sure if people outside of Rhode Island or New England have heard of him, but in the late ’70s-early ’80s, Mr. Mondor singlehandedly saved the Pawtucket Red Sox from bankruptcy, and made minor league baseball in New England relevant. He made McCoy Stadium family friendly, and very affordable. I have met him several times, and he was genuinely one of the nicest people I have ever met in my life. How many sports team owners do you see roaming around the stadium among the fans? And he was always more than willing and happy to sign autographs. He had a great sense of humor, and always had a big smile as he enjoyed life immensely. He will be greatly missed. Ben Mondor, the playful and beloved Pawtucket Red Sox owner who took the franchise off the scrap heap and created a jewel of minor league baseball, has died in his Warwick home. He was 85. Mondor was known as a one-of-a-kind in the baseball world, a former businessman who bought the team in shambles and transformed it into a model organization. He was friendly and sharp-tongued at the same time, and never took himself too seriously. He saw the value of his baseball team as part of the fabric of his community, and he fervently believed that his purpose to was keep the PawSox fun and inexpensive — and the McCoy Stadium parking free — for the people of Rhode Island. Mondor died Sunday night after a battle with cancer. Ownership of the team will pass to Mondor’s wife, Madeleine, but the leadership structure of the team — president Tamburro and general manager Lou Schwechheimer — will remain, and no major changes are expected in the near future. “He told us both — if you guys screw this up, I’m going to come back and haunt you,” Tamburro said. A celebration Mass will be held at 10 a.m. Thursday at the Cathedral of Saints Peter & Paul, 30 Fenner St., in Providence. The Mass is open to the public. A private burial will follow. Mondor, born in Quebec in 1925, left Canada as a boy. As an adult, he invested in the New England textile industry, owning several mills. In the 1970s, he sold his interests and retired. In 1977, he bought the-then Rhode Island Red Sox franchise. At the time, the organization was flailing, bankrupt and having lost its membership in professional baseball, drawing only 1,000 fans a game in a run-down McCoy Stadium. Tamburro recalled the winter day when he and Mondor first walked around McCoy Stadium after the sale. The challenge seemed far too great as they walked around the decrepit old park, pausing in front of a beat-up old chicken stand on the third-base side. Mondor paused to look around, and as they moved, he lost his footing, slipping on one of the chicken bones and falling flat on his back, Tamburro said. With his forceful personality at the core, the PawSox rose from an annual attendance of 70,000 when Mondor took over to nearly 700,000 20 years later. He was known for his wit and willingness to speak his mind, and for treating his employees well — most of his top executives, like current president Tamburro, GM Schwechheimer and VP of public relations Bill Wanless, started with the team in the late 1970s and early 1980s. “If you look around at the people who have been around for not one decade, not two decades, but three decades, this crew is a testament to Ben. The fact that you can look around this building on a given day and see folks who have been together for 30 years is unheard of,” Schwechheimer said. Mondor considered his longtime employees family, and let them know they were close with playful barbs. Getting needled by Mondor was preferable to the alternative — it meant he liked you. Over time, his PawSox and their consistent success became known throughout the baseball world. Former baseball agent and San Diego Padres CEO and now Red Sox senior adviser Jeremy Kapstein, a Rhode Island native, said that wherever he would go in baseball, major and minor league executives would ask about Ben Mondor and his Pawtucket Red Sox. The PawSox routinely lead the minor leagues in attendance or rank in the top 10 despite climate issues and the presence of a major league team less than an hour away. They are an important part of a player development powerhouse that has helped the Red Sox win two World Series in the past decade, as Red Sox general manager Theo Epstein noted. “He played a significant role in developing hundreds of Major League players many of whom contributed immensely to the success of the Boston Red Sox. He treated the players like his own family and his devotion to their development was absolute. We will miss him,” Epstein said. Over 33 seasons, Mondor’s PawSox participated in some great moments, including baseball’s longest game in 1981, and the Triple-A All Star game in 2004, and hosted hundreds of major league rehabbers and big-time prospects who came up through the organization’s ranks. Scores of former players and employees have called to offer condolences, Tamburro said. Among them was Roger Clemens, a former PawSox, paid tribute to Mondor on his Twitter account today: “Lots of prayers and hugs out to Ben Mondor’s family. I am very thankful to have met him,” Clemens wrote. While he’s no George Steinbrenner — a man Mondor admired — the PawSox owner has lasted through his fair share of managers, 12 in all. Mondor’s final PawSox manager was Torey Lovullo, who took over this past spring and guided the PawSox this past year. From the moment he arrived, Lovullo was struck by the class and professionalism of the PawSox organization, and fed off the feeling of being part of something big. He and his wife were greeted with flowers, and his children received generous Christmas presents. Right away, he felt at home, and it all started with Mondor, he said. At the beginning of each homestand, Lovullo would sit down in Mondor’s office, to talk about the previous trip. Mondor loved to win. He hated losing, even though to the Red Sox, the minor leagues are about player development, not wins and losses. Mondor knew that conceptually, but a bad road trip still rankled. “He cared so much about the wins and losses, but he was in it with me, he knew why we couldn’t quite get there. He knew it was about development. But he felt the wins and losses. And we’d have great baseball discussions,” Lovullo said. “I’ve managed and played in about every city in the United States of America, and it’s just unmatched, the passion and care for the players, and for the Boston Red Sox and the Pawtucket Red Sox,” Lovullo said. PawSox broadcaster Dan Hoard first met Mondor in the 1980s — when as an intern, the owner offered Hoard a ride home from the park. When he returned as a radio man several years ago, Hoard was welcomed immediately, but on the road constantly. Mondor tried to soften that blow. “He would do whatever he could to try to make up for that,” Hoard said. “I joked with my wife Peg today, that I’m going to have to remember to send her flowers at appropriate occasions. Because Ben always did it — it’s amazing. “Birthday, Mother’s Day, Valentine’s Day, any holiday when it’s appropriate to send your spouse or significant other flowers, he took care of it for me. So now I’m back to having to write these things down,” Hoard laughed. While Mondor may have been known nationally, his focus was local, and he never stopped trying to promote his adopted home. The Pawtucket Red Sox are one of Rhode Island’s best and most well-known brands, and resonate at a level beyond most minor league baseball teams. The PawSox act as a giant billboard of sorts for Rhode Island, said Robert D. Billington, president of the Blackstone Valley Tourism Council. Yet the PawSox are anything but a baseball factory. They remain the quintessential baseball experience, an inexpensive, family-friendly option in an age where high ticket prices are the norm. Parking is always free at McCoy Stadium, and it’s possible to get in and out quickly and easily — there is none of the hassle of the modern sporting event. That starts at the top. John C. Gregory, president of the Northern RI Chamber of Commerce, said Mondor imbued everyone in the organization, from the executives to the ticket-takers, with the idea of customer service. He recalled how during the stadium renovation debate in the mid 1990s, Mondor turned down an ornate design that would have completely rebuilt the exterior of the stadium and made it more in line with the Camden Yards ballpark in Baltimore. Mondor held out for a simpler plan that kept much of McCoy’s signature exterior, like the circular stairway, intact. “I know it’s overstated, but it’s the passing of a legend,” Gregory said. The PawSox are a valuable franchise, and Mondor received offers to sell often. He never listened to one, Tamburro said. “He got many many offers, and I don’t think he ever paid attention to any offer. This is what he loved. This is where he wanted to be. He retired god-knows how many times, and couldn’t leave the ballpark. And we loved him for it. I still think he’s going to walk through that door, one more time. And we’d be the happiest guys in the world if he did,” Tamburro said. He will not. No one has touched Mondor’s office since he fell ill and left McCoy for the last time Aug. 22. He did, however, know when to go. Mondor passed away Sunday afternoon, just as the Red Sox were finishing their final game of the season against the rival New York Yankees. Baseball in Boston was over for the year. That was, in a way, when Tamburro always expected Mondor to go. “You’ve probably heard me say that I never worry about Ben during the season; it’s when the season ends that I worry about him,” Tamburro said. Blondie is going to appear on A&E’s Private Sessions this coming Sunday October 10 at 9AM / 8c. On this episode, Blondie will debut two new songs off of their upcoming release Panic of Girls. They will play some of their classics as well. As I said in my article announcing the Judas Priest episode, this is an excellent show for music lovers. Lynn Hoffman is an excellent interviewer, and the artists usually have a great song selection. I know they will at least be playing Heart of Glass and Call Me. Question: In “Ferris Bueller’s Day Off,” who plays the burnout at the police station that Jeanie kisses? Last Week’s Question: What Pro-Wrestler was turned into a G.I. Joe character? Sgt. Slaughter (Robert Remus) signed with the WWF in 1980. He started out as a bad guy. But in 1984, his career took off as he became a good guy when he feuded with the Iron Sheik. He ended up leaving the WWF when Hulk Hogan emerged as the face of the WWF. He has bounced around the different wrestling federations such as the NWA and AWA, and even returning to the WWF. He is still active as an ambassador in the WWE (formally WWF). In 1985, Sgt. Slaughter became a G.I. Joe action figure. From 1985-1989, there were new Sgt. Slaughter action figures almost every year. Hasbro, the maker of G.I. Joe toys, discontinued production in mid-1990, partly because the World Wrestling Federation’s new storyline featuring Slaughter as a “bad guy” and Iraqi sympathizer. Sgt. 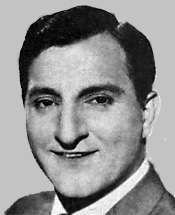 Slaughter also did the voice for the cartoon character and also appeared in person doing introductions to the episodes that were originally G.I. Joe: The Movie. He was also the spokesman for the GI Joe toys from 1989 to early 1990 introducing the new vehicles and figures. Ahh, Remember the days when there would be a craze about something that wasn’t electronic? 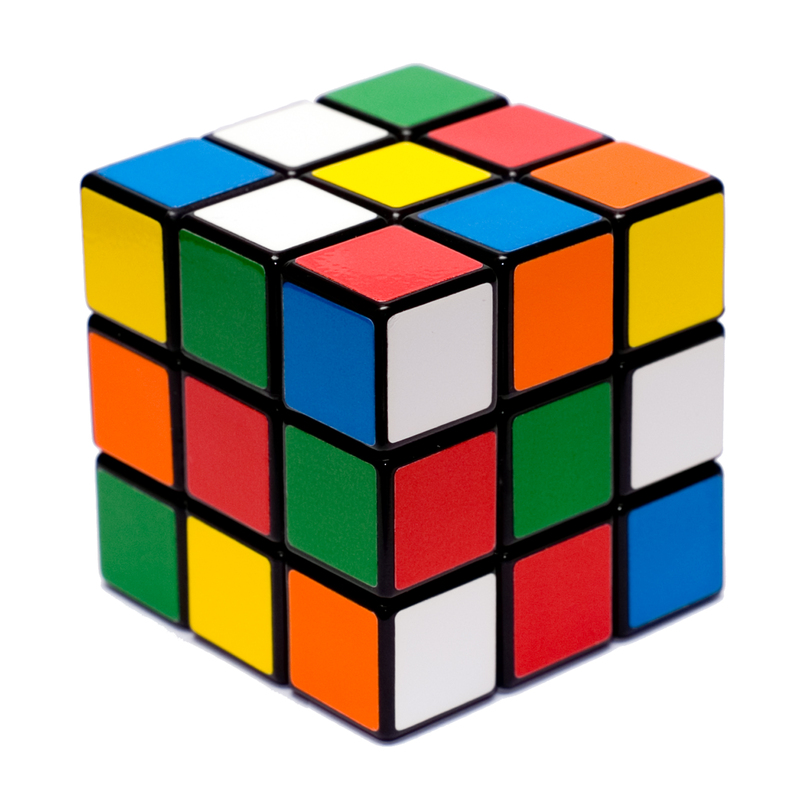 The Rubik’s Cube is an iconic symbol of the ’80s. 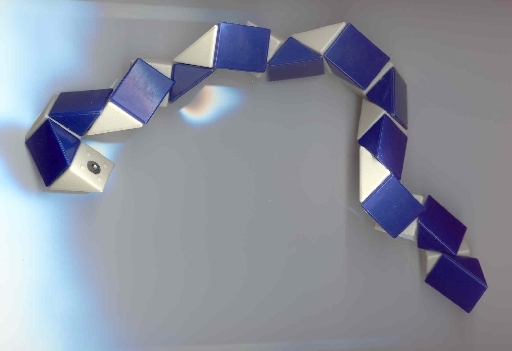 The Rubik’s Cube had six sides, with each side covered with nine stickers. The colors were white, red, blue, orange, green, and yellow. You would twist and turn all the rows until the colors were scattered all over the place. In order to solve the puzzle, you had to get each side all the same color. – October 19, 1982. spoken to the Lebanese foreign minister during a White House meeting with Arab leaders. The Arabs exchange nervous glances. By the ’80s, sideburns went the way of disco, bell-bottoms and leisure suits. 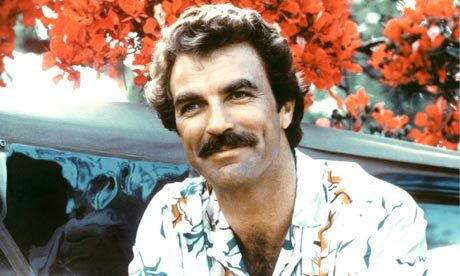 But, the moustache remained intact through at least the early to mid ’80s. 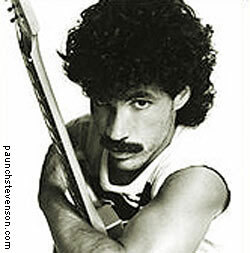 John Oates pulled it off, along with Burt Reynolds, Freddie Mercury, and the king of the moustache – Tom Selleck. 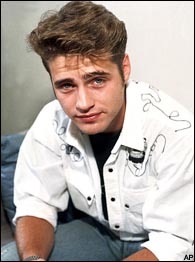 But then, tragically, the side burns came back with a vengeance in the ’90s with the arrival of Luke Perry and Jason Priestly in Beverly Hills 90210. Well, it has been a long time coming. Star Wars fans should not be surprised to hear that the entire saga will be released in 3D. According to The Hollywood Reporter, the films will be rereleased in 3D beginning in 2012, starting with Episode I: The Phantom Menace. After that, each film would be released in order at the same time in consecutive years, depending on how well the first rerelease does. If the movies stay on schedule, and are released every year, then Return of the Jedi will be released in 2017. And that means fanboys will finally get to see the moment they’ve been waiting for. Jabba the Hutt in 3D!!! Oh yeah, and Princess Lea will be in her slave outfit in 3D.